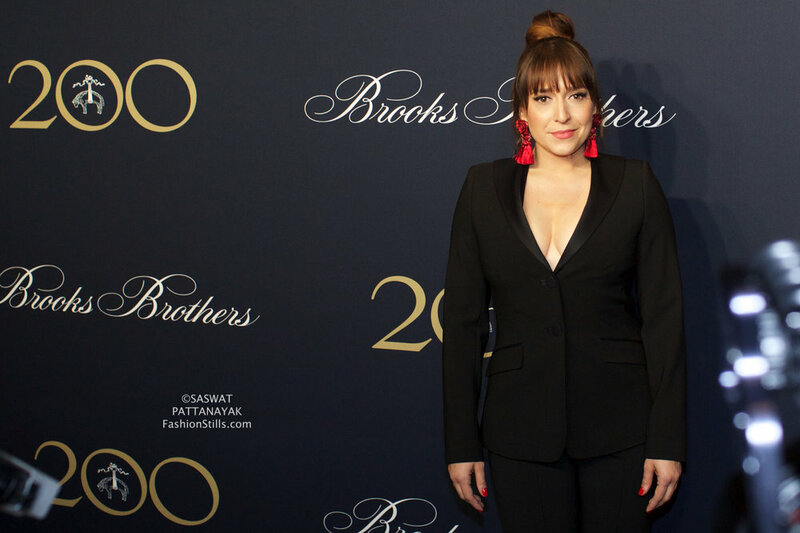 At a memorable evening to celebrate Brooks Brothers, several celebrities appeared, at the red carpet as well as for the musical evening subsequently. They included actors Andy Karl, Brendan Fraser, Casey Cott, Christina Hendricks, Colin, Corey Cott, Courtney B. Vance, Geoffrey Arend, Jasmine Cephas Jones, Katie Holmes, Laura Osnes, Mike Doyle, Pablo Schreiber, Tituss Burgess, and Yara Shahidi. 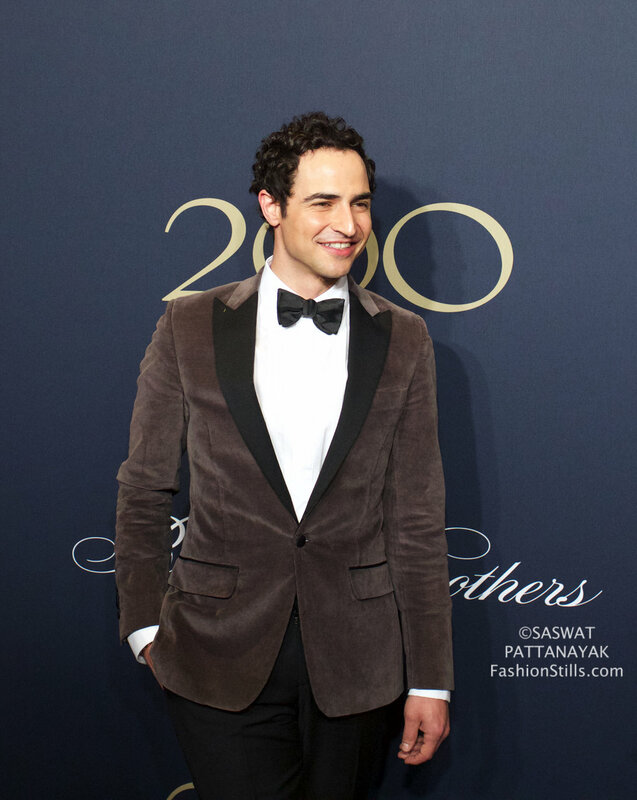 Brooks Brothers was represented by Arthur Wayne, Lou Amendola, Sebastian Barros, Carlos Alberto Cartoni, Claudio & Debra del Vecchio, and Zac Posen. 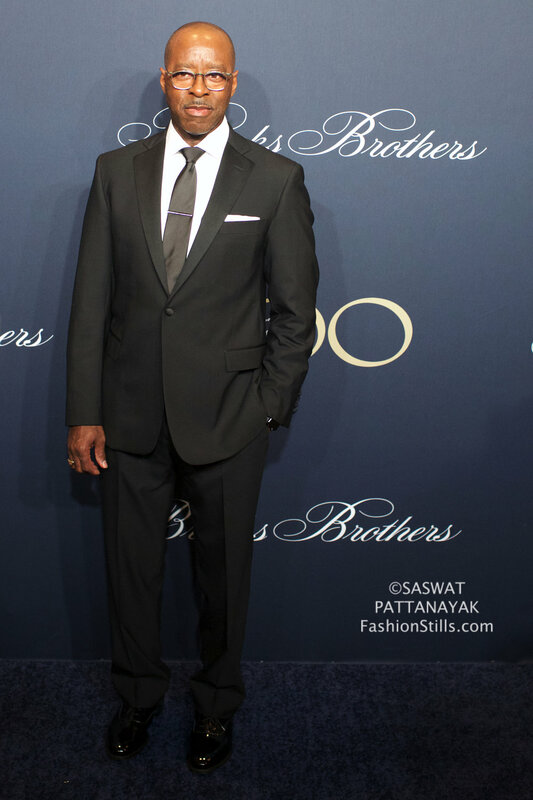 Among the musicians were Jon Baptiste, Orfeh, and Wynton Marsalis. Athlete Sean Avery and TV anchor Don Lemon also made appearances.